James Altucher is an American hedge fund manager, entrepreneur, bestselling author, venture capitalist and podcaster. He has founded or cofounded more than[clarification needed] 20 companies, including Reset Inc. and StockPickr and says he failed at 17 of them. He has published eleven books, and he is a frequent contributor to publications including The Financial Times, TheStreet.com, TechCrunch, Seeking Alpha, Thought Catalog, and The Huffington Post. Chase Jarvis welcomes James Altucher as his guest on 30 Days of Genius, a special series of Chase Jarvis LIVE featuring the world's top creative + entrepreneurial minds of our time. Chase is a favorite interviewer of ours. 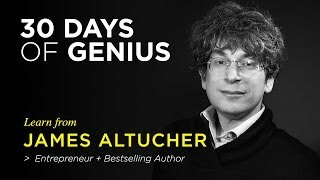 What makes James Altucher so compelling isn't only his success, but rather his failures and the candor with which he faces them. He joins Chase's 30 Days of Genius to talk about cutting out the habits that stifle us and nurturing the habits that serve us. James Altucher has rebounded from personal catastrophe so many times in his 49 years, it's hard to imagine a more qualified evangelist for personal reinvention. 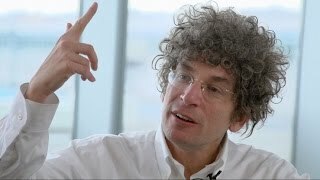 During the dot-com boom of the 1990s, Altucher made millions designing corporate websites, only to squander it all on gambling and a string of disastrous investment decisions. "I was probably losing about a million [dollars] a week for an entire summer," he tells Reason's Nick Gillespie. "I just made every stupid decision in the book."